Gujarati language rooted in the Indo-European language family. It is a descendent of Sanskrit via ShaurasheniPrakrit and Apabhramsha. It is preserved through its vast literature. The oldest literary work is found from the 12th Century A.D. (i.e. 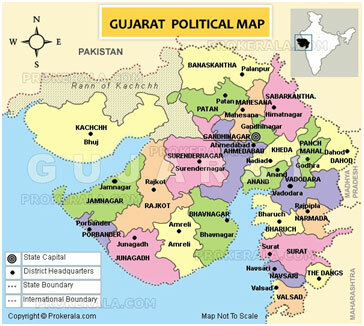 1169 A.D.), but the name �Gujarati� was given in 16th century A.D.
As Gujarat has a fertile land, traders from all over the world visited this state from time to time. ManyGujaratis have settled in the African countries in the medieval age. Hence, Gujarati language has a rich vocabulary along with the borrowed words from various languages of the world including Persian, English, Hindi and Urdu. In the modern times, many Gujaratis have migrated to U.S.A., Canada, U.K., Australia, Fiji, and other parts of the world. The basic Gujarati sentence is of SOV (Subject-Object- Verb) type. The word order is somewhat flexible compared to English and rigid compared to Sanskrit, because Gujarati is more inflected than English and less inflected than Sanskrit. The Gujarati script is sprung from the Devnagari script of Sanskrit which goes from left to right and is of syllabic in nature.Gujarati is a syllabic alphabet in that consonants all have an inherent vowel. Vowels can be written as independent letters, or by using a variety of diacritical marks which are written above, below, before or after the consonant they belong to. Gujarati has approximately 40 phonemes and 36 graphemes for the consonants. It has 12 separate graphemic symbols for the vowels which are attached with the consonant graphemes, too; when they are spoken together with them. Most of the graphemic symbols are rounded in shape. AIIS organizes Gujarati Language Program at Ahmedabad city of Gujarat State. Ahmadabad is the economic capital of the state. The city was founded in the 16th century A.D. by BadshahAhmedshah, so it is named as Ahmedabad. Formerly it was known as Karnavati. It is spread on both the sides of the river Sabarmati. The city has a great mythological and historical heritage. According to an ancient Hindu myth, a rishi named Dadhichi,gave his bones to god Indrafor killing demons at the bank of river Sabarmati. The famous Sabarmati Ashram of Mahatma Gandhi is still an attraction for millions of Indians. The city was also known as the Manchester of India because of huge number of Textile mills. There are many other industries including Chemicaland Pharmaceutical Industries. There are many internationally renowned institutions in the city like I.I.M. ( Indian Institute of Management), N.I.D. (National Institute of Design), ATIRA (Ahmedabad Textiles Industries Research Association), ISRO (International Space Research Organization), IPR ( Institute of Plasma Research ), PRL (Physical Research Laboratory), and L.D. Institute of Indology. Climatically, Ahmedabad has a dry and hot weather, with about eight months of summer. The peak temperature in the month of May goes up to 48 degrees C. Winter is not so harsh. The annual rainfall is about 25 inches. Eco System	: Ranges from deserts, scrublands, grasslands, deciduous forests, and wetlands to mangroves, coral reefs, estuaries, and gulfs.